This was our first stop in Amsterdam and it definitely didn’t disappoint. 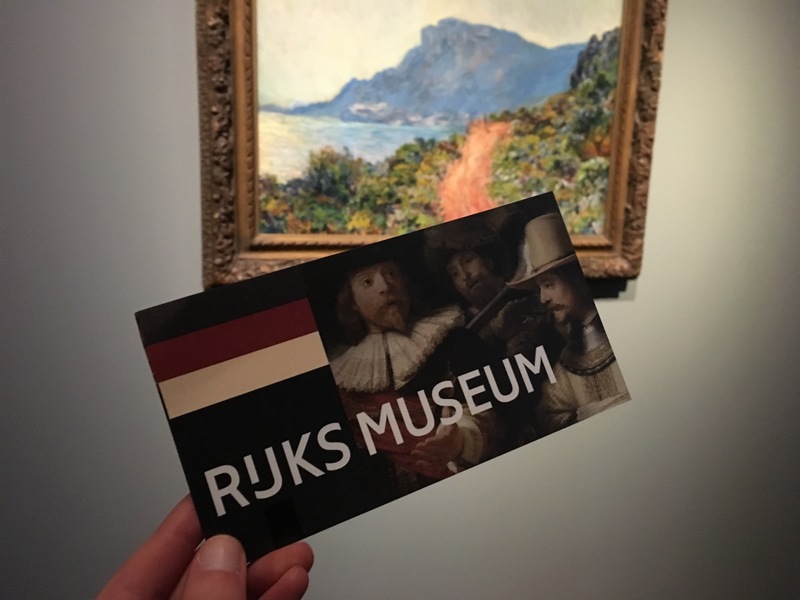 The Rijksmuseum is enormous–just when we thought we had seen everything, there was another corner to turn or another floor to explore. 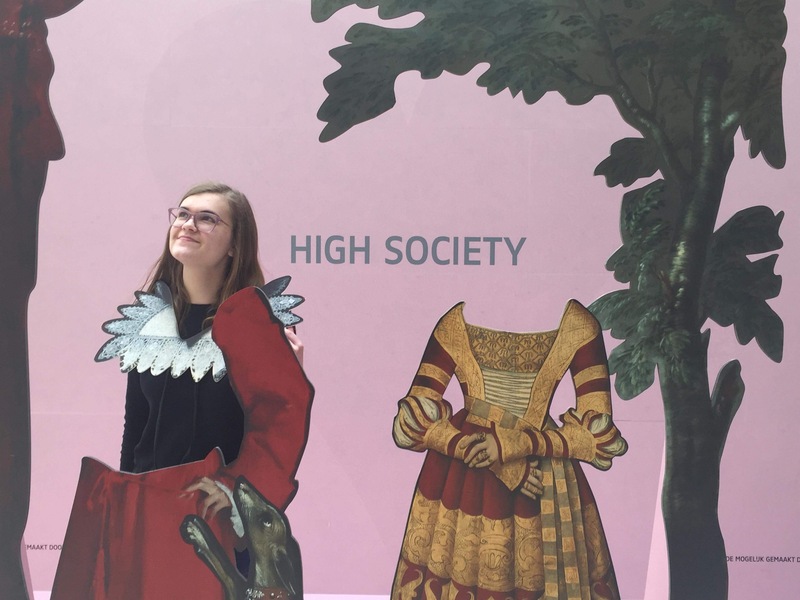 I loved the variety of artwork there as well as the interactive features it had (like the third photo of me standing behind a wooden cutout). 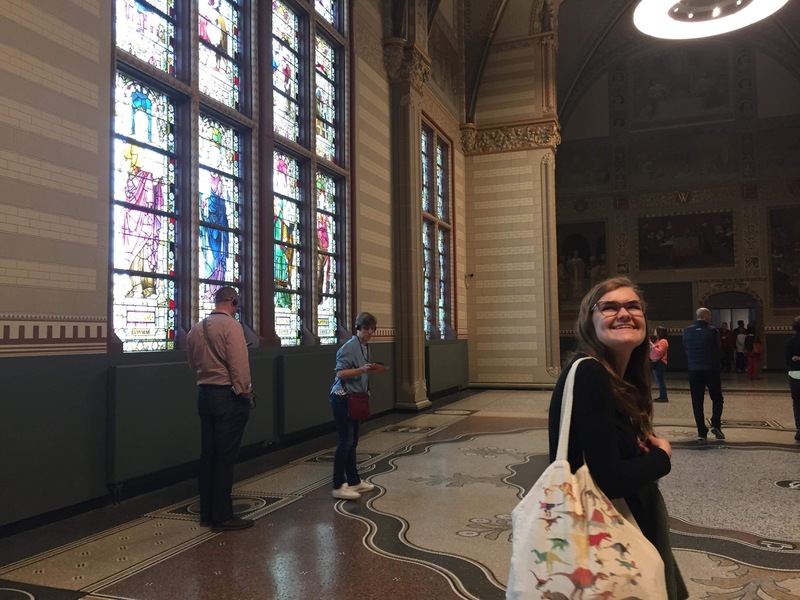 We spent hours in this museum on our first morning in Amsterdam, but we easily could have spent another few perusing the rooms that most interested us. The architecture of the museum itself is also gorgeous. I spent so much time gazing up at beautiful ceilings! The Van Gogh Museum is one of the most well-curated museums I have ever visited. Each floor presents a different time in Van Gogh’s life, going chronologically upward following a floor of self-portraits. Placards throughout the museum basically tell Van Gogh’s life story, meaning that you need to know little to nothing about this brilliant artist beforehand in order to enjoy this museum. They don’t allow photography, which I actually preferred. It’s nice to be able to simply enjoy the art without everyone around you constantly stopping in order to get the perfect photo of it. Whether or not you’re a fan of his artwork, I would highly recommend adding this expansive museum to your Amsterdam “must see” list. 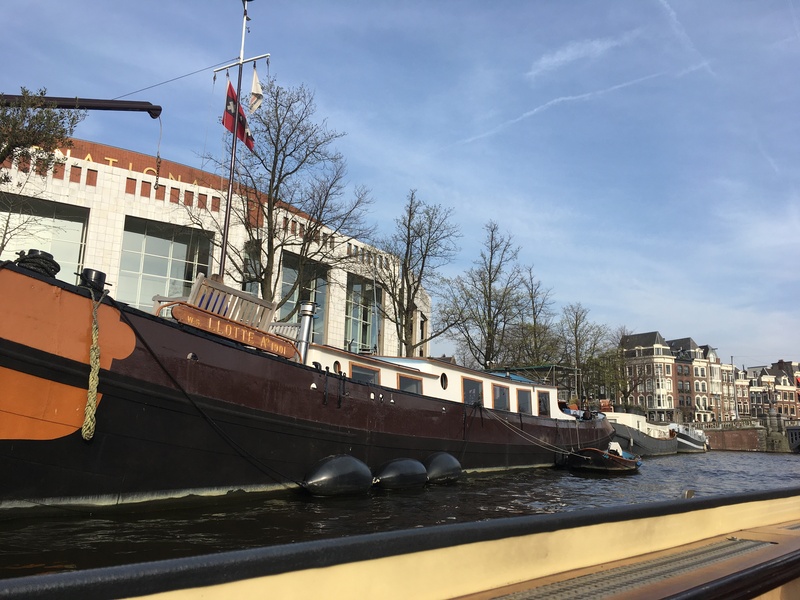 Amsterdam is a beautiful city to begin with, but the gorgeous April weather we had during our visit made it even more amazing. 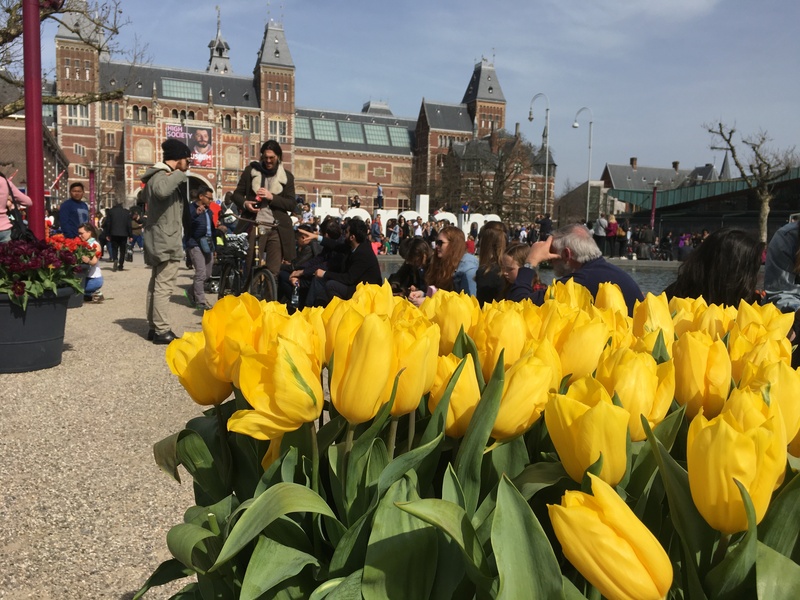 I adored walking through parks and taking in all of the colorful tulips scattered in front of the giant “I Amsterdam” letters. After spending several hours in museums in the mornings, there was no better way to spend the afternoon than by strolling through so many green spaces. 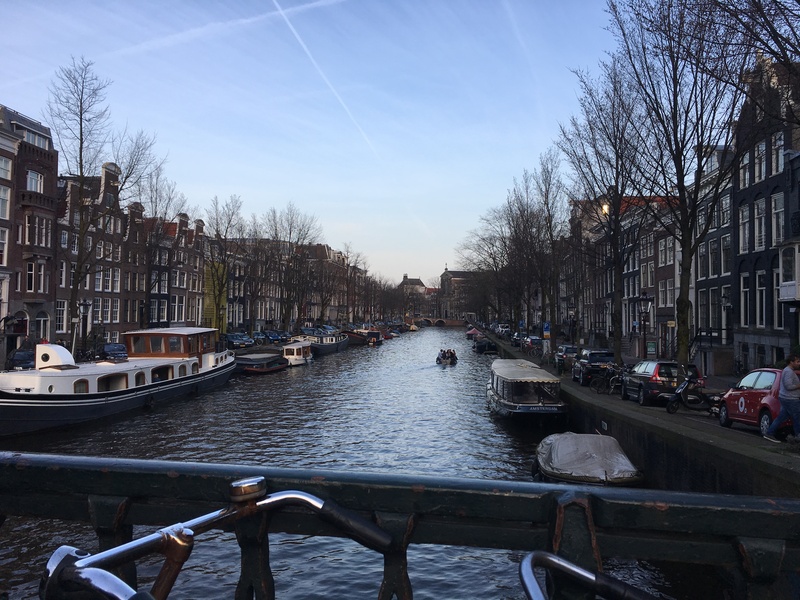 I loved walking along the canals the crisscrossed through the city, especially in the mornings when it was quiet and the evenings as the sun began to set. One afternoon we took a canal cruise as a little break from walking everywhere. It was lovely to watch all of the adorable houses go by and learn more about the history of the city. And the house boats were so fun to see! I. Love. Trams. Amsterdam was by far the easiest city to get around that we visited. Not only are the trams relatively cheap if you plan ahead and by certain tickets, but they are also reliable and come quite frequently. Fortunately there was a tram stop near our Airbnb (we were staying about a thirty minute ride out of the city center) so we were easily able to take the tram back and forth from our accommodations. Such a great mode of public transport! 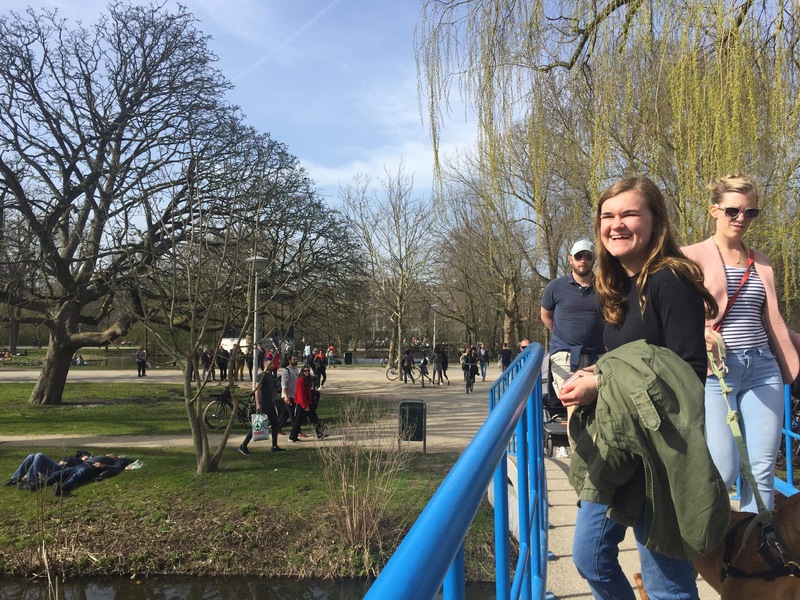 All in all, I had an amazing time in Amsterdam and would absolutely love to visit again if I get the chance. Even though my friend and I packed a lot of exploring into a few short days, there’s still so much I’d like to see. Now I know why so many students visit this wonderful city when they study abroad! Have you ever been to Amsterdam? What are your favorite things to do there? Let me know in the comments section below! Oh my gosh! This is awesome! Thanks for sharing photos with us! I’ve only been to an airport in Amsterdam on a layover. I wish we could have gone outside the airport! Amsterdam is very high on my travel bucket list! Hope you get a chance to visit soon! I really wish we could have toured the Anne Frank House, but we only had time to briefly visit the outside of it. Definitely on my bucket list if I ever go to Amsterdam again! Yea I agree with you! 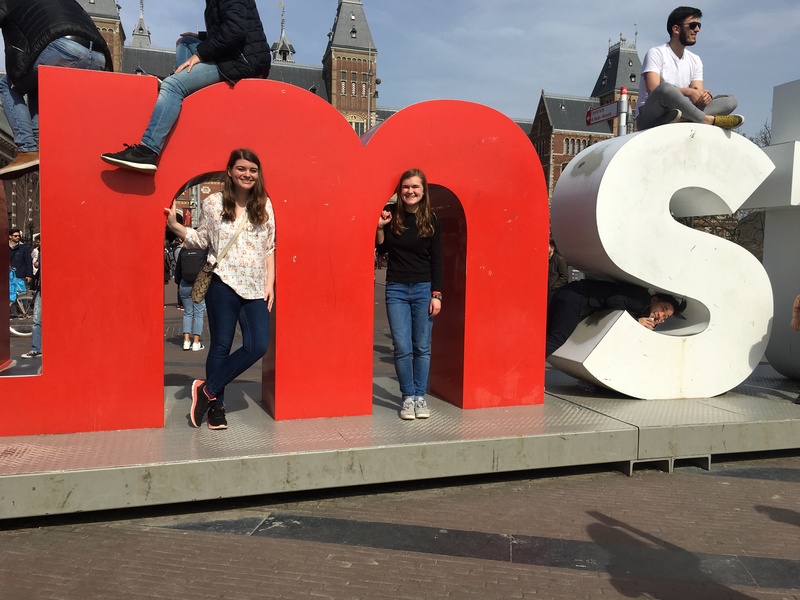 When we went to Amsterdam, we didn’t have a lot of time. The Anne Frank House was sold out so we only got to see the outside. Look forward to going back ! Great article! 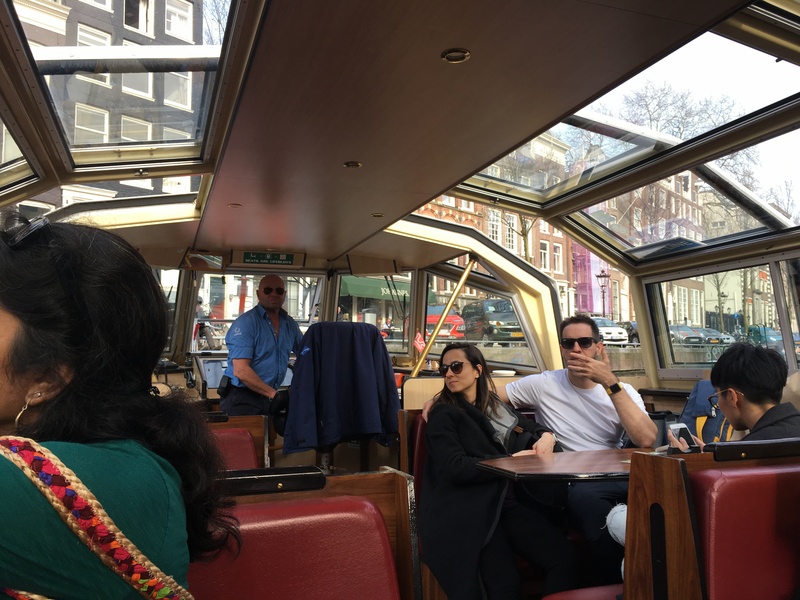 This made me so happy reading this, Amsterdam is one of my fav places, its so cool they have such beautiful canals everywhere and every little side street opens up so much beauty!